What was that he did say, if you can tell, that would lead people to think that was the quote? Thanks, Kevin. I’ve been preaching versions of this sermon myself for quite some time. There are several variants of this spurious Wesley quotation, some longer, some shorter. As you note, the quotation was erroneously attributed to Wesley in an early edition of Bartlett’s Familiar Quotations. I think it likely that this was based in the misinterpretation of a footnote in George Eayrs, ed., The Letters of John Wesley (London: Hodder & Stoughton, 1915). On page 423 of this work, Eayrs gives the text of what he calls “Wesley’s Rule” in a footnote, but with no citation, no identification of the supposed author, and no documentation of the source (if there was one) from which he takes it. The attribution of this quotation to John Wesley himself is quite common; an Internet search for the first line will produce dozens, maybe hundreds of hits, most if not all of them attributing the quotation to Wesley. It does sound like something Wesley might have said, and it seems authentically Wesleyan in sentiment, but there is no documentary evidence that Wesley ever actually wrote or said it. There is an old historian’s maxim that says “The absence of evidence is not the evidence of absence.” Nobody can absolutely, positively, say that Wesley *did not* in fact say or write the text described as “Wesley’s Rule” someplace, sometime. What we *can* say with certainty is that there is absolutely no surviving documentary evidence that he *did* in fact say it or write it. Perhaps one reason why the alleged quote sounds so “Wesley-ish” is because it reflects sentiments found in the second General Rule of the United Societies (and if anybody reading this doesn’t remember that, they can look it up for themselves in the UMC Book of Discipline). Ah the rabbit chase is renewed… and let’s hope in time we find out who Wesley was quoting. Do any of you Wesley scholars know of Wesley actually using this quote? The circumstances, associates etc? Following these things may lead us to the source… In the meantimeIn using this quote and assigning atribution we might want to say: Contemporary to John Wesley era or something like that. Blessings! Looks to be a footnote attributed to Wesley in Wesley’s letters…not a direct quote from Wesley…others would certainly know more clearly – I was just curious so took a quick look. Thank you for your engagement with this post and for your insights into the background of this quote. I appreciate the distinction between “absence of evidence” and “evidence of absence.” What has surprised me is just how strongly some insist that Wesley did say this, even in the “absence of evidence” that he did say it. (This comes through with particular passion in some of the comments on the post I wrote on the quote attributed to Wesley about people coming from miles around to watch him burn, which I think sounds much less like Wesley than this quote. I also think your connection of this quote to the “General Rules” is exactly right. Someone asked me for a citation for this quote early on in my PhD program and I was certain I had read it in Wesley, I think largely because of the “General Rules” and Wesley’s sermons on money. Your use of “who Wesley was quoting” suggests that there are quotes of Wesley using this phrase. However, the purpose of this post is that there is no evidence that Wesley ever used this quote. He was not quoting someone when he used it, then, because there is no evidence that he used it. I too apprecate Rex’ link as that next page 424 refers to William Law.. so it gets interesting, as we can spend those midnight hours reading this material. In my earlier post I misunderstood as it appeared someone had uncovered new information as to the true author My mistake, but most of us feel we are violating the code of attribution if don’t give somebody credit for it… it’s in our literature and we love to use it in correspondence and speaking so in order not to continue the false attribution to Wesley we need to use something else to do that. That’s why I sugggested the attribution as example “Author unknown, but contemporary to John Wesley’s era”..How would you attribute it?. Even the Wesley childhood home in Epworth, England has this quotation available suitable for framing in their gift shop… They should know better! While we are discussing misquotes of John Wesley, this is one that has bothered me, “Once in seven years I burn all my sermons; for it is a shame if I cannot write better sermons now than I did seven years ago.” Truth is he was saying the complete opposite. Whatever others can do, I really cannot. I cannot write a better sermon on the Good Steward than I did seven years ago; I cannot write a better on the Great Assize than I did twenty years ago; I cannot write a better on the Use of Money, than I did nearly thirty years ago; nay, I know not that I can write a better on the Circumcision of the Heart than I did five-and-forty years ago. From John Wesley’s JOURNAL FROM JANUARY 1, 1776, TO AUGUST 8, 1779. The one that gets me is the attribution of the phrase “personal and social holiness” to Wesley. There is no evidence I have ever seen that Wesley used this phrase. And in an article I did a couple of years ago, I looked as hard for it in Wesley as anyone ever has. Yet the phrase gets repeated ad nauseam, as if it is a given that Wesley used it. I would argue that it is neither historical to Wesley nor is it “Wesleyan,” in the sense that it bifurcates holiness in a way that Wesley was at pains to avoid (hence the use of the phrase, “no holiness but social holiness,” which is accurately Wesleyan). 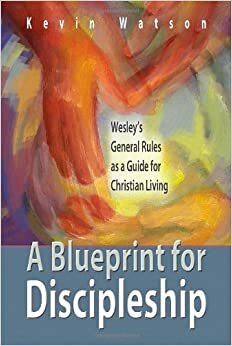 I saw an announcement for an upcoming study on Wesleyan discipleship by Bishop Jones that will be released later this year. Sure enough, there is a chapter on “personal and social holiness.” That is just mind boggling to me. Well he may have never written it but it may have spoken it and that’s why it is attributed to him. Buried in my message for this morning (“What Does Your Church Look Like? – http://heartontheleft.wordpress.com/2013/05/05/what-does-your-church-look-like/) is a parenthetical comment that I hope that John Wesley said that the world was his parish. I followed the discussion of this topic because it reminded me of some difficulty I had resolving a major question in chemical education that was related to my doctoral dissertation and the assertion of who first proposed a change in the chemistry curriculum. Let us know get distracted by who said what when but let us make sure that when we speak of the Gospel we have that right. I have always liked the above quote Do all the good you can. I have always believed it was John Wesley who penned it. But if he is not the author can you let me know who wrote this famous quote. Just now reading this post. As I recall, the Credo confirmation curriculum uses this extensively. I certainly used it a lot when I taught it last! I will know better next time. Thanks for these “Wesley Didn’t Say It” posts, Kevin. Maybe in the grand scheme of things it doesn’t matter, but I really prefer to be accurate on quotes. Just read Wesley’s Sermon on “Worldy Folly” and you will see this phrase is partially used there and, in essence, sums up Wesley’s thoughts on the rich young fool. Do all the good you possibly can to the bodies and souls of men. Just because he never wrote it down in his writings does not mean that he never said it verbally. There is no proof that he never said this. Tara Roznovak — That’s technically true, but it is a grave historical mistake to attribute quotations to historical figures and then say, “Prove it to me that this person never said that.” How could we ever prove such a thing of anyone? You could attribute the quote, “The United States should be ruled by trained elephants!” to George Washington and then challenge anyone to prove that Washington never said such a thing. Would that make it alright to print the quote on George Washington souvenirs and sell them as containing one of his authentic sayings — since no one had ever positively proven that he did not utter those words? And what would amount to such a proof anyway–a signed letter by Washington himself saying that he never said the U.S. should be ruled by elephants? Good historical writing should rely on things that can be shown by evidence–be they words of historical figures, accounts of historical events, or interpretations of historical data of any kind whatsoever. We do not do history by making claims about things for which there is an absence of evidence and then asserting the veracity of our claims based on the lack of other evidence that would contradict that for which we have no evidence. That said, as some other commenters have suggested, Wesley made statements similar enough to the quote discussed in this post to make it “Wesleyish” (if not “Wesleyan”). In other words, it communicates a sentiment in harmony with Wesley’s attitude about doing good. But it is still not a Wesley quote (and shouldn’t be passed off as one by the gift shop at the Epworth Rectory, the Cokesbury retail chain, etc.). Andrew, thank you for your response. My own response would be very similar. I appreciate the many citations of things that Wesley actually did “say” (write) by other commenters. My post was not intended to say that the quote is opposed to Wesley’s sentiments. But that literally there is no evidence that he did say it. And the persistent attribution of it to him is the more confounding because of the many things we can attribute to him that express very similar sentiments. Getting these kinds of details right matters. This was my grandfather’s favorite quote. He was a Methodist minister and had it printed on his calling cards. I’ll believe you in my head, but in my heart I’ll always associate it with my grandfather and John Wesley. Sorry. Denise—That’s fine, so long as you recognize that what you are calling a quote is actually no such thing. Speaking historically, the quote in question is not traceable to John Wesley. That means, in the judgment of history, that John Wesley did not say it. It is not a Wesley quote. On the other hand, there is the question of whether the meaning this phrase conveys is in *harmony* with what John Wesley would *want* to say. I think that is probably the case, even if it is clear just by the rhythm and slogan-like nature of the quote that it never would have come from the mouth (or pen) of Wesley. In other words, he never would have expressed a sentiment such as this in just such a way, but it is not inconceivable that he would have agreed with the heart of what it is trying to communicate. If all that sounds like a version of debating about the number of angels that can dance on the head of a pin, I would suggest that it is not that at all. The problem we tend to have is not that theology is too nuanced these days; the problem is rather that people are too un-nuanced to read theology with any seriousness. So we continue… thanks for your suggestion and explanation. Kevin Watson though says no one knows whether Wesley ever said this so perhaps the “unverifiable” part is better. in the end you do not know he did NOT day it. The standard is not whether a statement has been published, Randy T, but rather that there is reliable historical evidence that a person has uttered something attributed to him. Both eyewitness testimony and audio or video recording are forms of historical evidence. So is manuscript evidence or, yes, published writing. The point about this particular Wesley misquote is that there is no reliable historical evidence for it. There is one thing that everyone on this thread who seems miffed that Kevin would suggest the quote in question is, in fact, a misquote has in common: They all assumed it was an authentic quote because they read it over and over again on Facebook or on Cokesbury coffee mugs. No one has objected by offering evidence to the contrary (i.e., that it is, in fact, an authentic quote). As far as making historical arguments from the absence of evidence, see my response above to Tara Roznovak. So.. Who did say it. I guess in the age of quill pens, no one ever said anything that was not written down. Can anyone confirm an assertion I heard recently that John Wesley was a free trader? Peter, what do you mean by “free trader”? My first inclination when I read this was to think about the various free trade agreements that predominate the political scene today. Obviously, that is not what you mean in your question. Would it have to do, per chance, with what I believe was Wesley’s opposition to the slave trade? If Wesley didn’t say. “Do all the good you can, by all the means you can, in all the ways you can, in all the places you can, at all the times you can, to all the people you can, as long as ever you can.” ….then who did? How do you know he didn’t say it or write it cause it could have been embroidered on s pillow of his by his mother. The truth of it is Wesleyan. This is somewhat like the Wesleyan Quadrilateral. Not his maybe but very like him. Fair enough. The key matter has not been addressed in the original post: to whom shall we attribute this quote? Does anyone know who said “Do all the good….” so we can give them credit. As a United Methodist minister, I have misquoted this saying but truly believe it would be something that fits John Wesley. I just recently told a young person (who thought I did way too much), I want to do all I can for as long as I can. And I think of this quote from whomever the older I get. Yes very good I’m sure we all agree. However this flippant response doesn’t address the question. I still would like to quote the correct original source. If the “do all the good that you can” quote isn’t Wesley’s and neither is the Wesleyan Grace (which I grew up singing in MYF), as well as the “world is my parish,” I am interested in who may have originated these. In particular, I’m interested in the Wesleyan Grace, “Be present at our table, Lord; Be here and everywhere adored . . . ” Any insights on this would be very much appreciated — thanks so much! 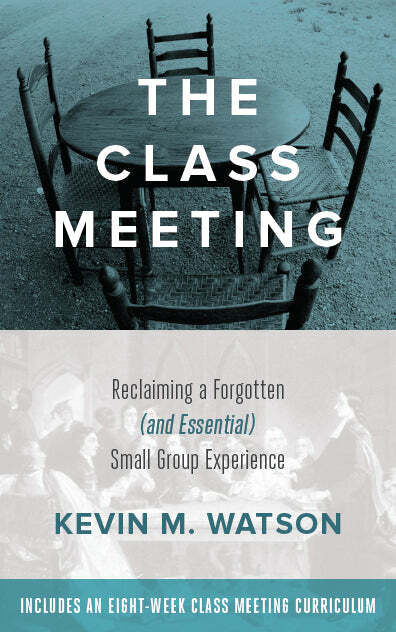 kchesser – The “be present at our table” quote is from John Cennick, who was a Calvinist Methodist. The “do all the good” quote is Wesleyan in sentiment. I like the “do all the good…” declaration. It need not have been said by any noted person to be of value. Perhaps its value lies in expressing a worthy thought. It can accurately be said to be repeated, endorsed or displayed by Methodists. Engaging discussion here, thank you. I just found an 1896 book with the phrase and no citation (only “selected”). Let’s concede that the quotation cannot be attributed to Wesley. How did it become so strongly associated with the Methodist religion? Ann — I think the best answer to that is because it sounds Wesleyan. And indeed, it is Wesleyan in the sense that it finds spiritual or theological resonance with Wesley’s own views. (That isn’t the same thing as saying that they are Wesley’s own words, of course.) As others have noted on occasion, the quote seems to resonate with the General Rules (“Do no harm … Do good … etc.”). I think the thing that bothers historians such as Kevin and myself is that it is just sloppy to attribute quotes to people with no evidence for those people have uttered the quotes — not only sloppy, but on occasion something that can lead to false historical evaluations of the person in question. As an example, there is the false quotation often attributed to St. Francis of Assisi which goes something like, “Preach the gospel at all times, and when necessary, use words.” If you take that quote as emblematic of the character of St. Francis, one might think he took a vow of silence, or that he thought good deeds were all that were needed to spread the gospel, or some such. The truth of the matter is that we don’t have anything St. Francis wrote, and I’ve never seen any evidence that he ever spoke the quote commonly attributed to him. The actual historical evidence of St. Francis’ life presents us with a St. Francis who had no problem with words and was so loquacious that he once sought to convert the Muslim sultan of Egypt by his *verbal* presentation of the gospel! So sloppy attributions of quotes can cause real problems of historical interpretation. But he did support the separation of church and state, correct? No? There may not be any extant evidence that Wesley said or wrote “Do all the good you can, by all the means you can…” exactly as written in some of the ‘quotes’. But the fact is he did say “Do good. Do all the good thou canst. Let thy plenty supply thy neighbour’s wants; and thou wilt never want something to do.” in his sermon, Worldly Folly as pointed out already. So it is entirely credible that Wesley said various other versions of “Do all the good thou canst….” in other settings. It seems that it has never been attributed to someone else, and has, in fact been attributed to Wesley from fairly early on. Similarly, there may not be proof that St Francis of Assisi said some variant of, “Preach the gospel at all times, and when necessary, use words.” But there is no proof that he did not. And I do not find the argument by Andrew Thompson that this quote somehow creates “false historical evaluations” of St. Francis at all persuasive. It is a saying that I first heard decades ago, and never once did I take it to mean that one should not use words to the very best of ones ability. It simply means that actions matter. They matter very much. In fact, I have made a living for over 30 years using words – as a trial attorney and as a preacher. And yet I try to live by this saying – no matter its origin. So I find no credibility in the claim that this saying is inconsistent with someone who uses words well and often. Andrew Thompson says we don’t have anything St. Francis wrote, and I have no reason to dispute that. So why would be expect to find proof (in the ‘modern’ sense) that he did or did not say any specific thing? I find it interesting that even the Jesus Seminar folks were willing to attribute certain statements to Jesus, but now we cannot attribute sayings to St Francis or Wesley without the sort of proof that only really became desired after both of these people had died. Perhaps post-modernism will eventually solve this conundrum. While you all quibble about who said it, God bless the people who have lived by it for years. Deb Conklin — Thanks for those comments. This has been a fascinating, multi-year conversation on this particular quote via the comments on Kevin Watson’s original post. Let me clarify: Just because John Wesley almost certainly never uttered or wrote the quote in question does not mean it isn’t a worthy sentiment to live by. It doesn’t even mean it isn’t a ‘Wesleyan’ sentiment (or at least ‘Wesleyish’). It just means that the long-standing attribution of it as a direct QUOTE of John Wesley himself is not appropriate. This is the kind of thing that academic-types like me (or Kevin, for that matter) tend to get more exercised about than people at large. But it is an important point nonetheless. In historical work, you simply do not make arguments from an absence of evidence. Thus, you don’t say, “Person XYZ said quote Q because a lot of people claim he did and we have no evidence to the contrary.” That works for a bumper sticker. It does not work for serious historical research. I actually think there is a connection here with the other area of your background besides ministry — that is, your former occupation as a trial attorney. Think about the horrific precedent this would set in our criminal justice system: “Ladies and Gentlemen of the jury, I know there is no evidence connecting the accused with the murder of John Doe, but a lot of people say he did it (even though they make no claims on having evidence of the crime), so it must be so. I rest my case!” This isn’t direct evidence. It isn’t even circumstantial evidence. It’s just rumor, multiplied over time, which comes to be taken as truth. A court of law would never entertain such a standard; why should the canons of historical research? I read your reply of 7/28 too quickly and just now re-read it and realized that I misspoke somewhat in the comment to which you were responding (which itself was dated 6/23). I had originally written that “we don’t have anything St. Francis wrote,” which is not true at all. My apologies. What I meant to say was that “we don’t have anything like that that St. Francis wrote,” meaning the quote about only using words when necessary, etc. etc. I didn’t mean to suggest that we don’t have any record from St. Francis—only that we have no record of that particular saying which may, ironically, be the best known “Franciscan quote”! Hillary Clinton said it is a “Methodist creed” she follows. Wrong. While often attributed to John Wesley, there is no evidence he said or wrote it. To further the discussion, as we have already established that there is no evidence that JW wrote or said those actual words, in that order, all at once in that lovely now world famous sound bite. But as we dissect it and piece it together…. This quote could explain the origin of the later lines in the popular quote. Another question to ask here is Why would JW put these words in italics and not others? Is he quoting popular sayings or eg biblical passages? The next step I think would be to find the earliest evidence of a “framed print” or embroidery etc , where and when and who did that? BTW I bought my fridge magnet at the famous Gwennap Pit, where there is also carved into stone on the perimeter wall the “all the world is my parish”!! I live in West Cornwall and I came across this thread whilst researching for a play I’m writing about the Wesleys in Cornwall and the social / cultural impact that they’ve had from then until now – any comment on this would be most welcome. If you know this part of the world and know a bit about Wesley’s influence here, you’ll be sad to hear that the massive chapel in St Just aka “The Tin Miner’s Cathedral” will close about this time next year because of financial considerations. Hopefully it can be at least saved as a heritage centre of some sort, to at least keep this historic building open and meaningful to the community, which still has some of the highest levels of social deprivation in the UK. Just because you can’t find it written doesn’t mean it wasn’t said by the person. You must remember John Wesley rode over 250,000 miles and preached over 40,000 sermons. For a quote to be attributed to him by someone who heard it said would not be unusual at all given his amazing energy and productivity. I listened to our governor speaking to a group crowded into a life squad bay. He was unscripted. Did he not say those words? Ah yes . . . no evidence, no proof, no references, no citations, therefore it does not exist ! The very same maxim used by atheists to claim God does not exist. It is, of course, true that we do not know everything that John Wesley ever said. And it is also, of course, true that Wesley said exponentially more than is written down. I readily concede both of those things. I cannot prove that John Wesley *did not* say something. But you cannot prove that John Wesley *did* say something independent of physical evidence that he said it. When people say, you don’t know he didn’t say that because he said tons of things that aren’t written down, I want to respond: Yes, obviously. But on what grounds would anyone be able to access things that were said by someone orally but were not recorded in any way? The fact that something is quoted in a book written after the person has been dead for over a century does not count as physical evidence. The quote in this particular instance is first attributed to Wesley in a book published in 1915 by someone who did not live at the same time as Wesley (who died in 1791) and could not have heard him say anything. To be clear: this series of posts on things commonly attributed to Wesley that he did not in fact say is not intended to be an evaluation of the content of the quotes themselves one way or another. (In this case, I think it is actually a Wesleyan sentiment.) You can still like the quotes. But you need to accept that we simply do not have grounds to put these words in John Wesley’s mouth. and yet here we are… it’s November 2016, and are we none the wiser? that is… to ask… what do we then do with this maxim? Could we chose to live by it regardless of the origins of the person who said it best? whomever that may be… hmmm. of course, if that is too much of a mouthful to live by, Wesley already condensed his philosophy for our snapchat age ..
Just because it is not in his writings, who can say he didn’t say it. IF not Wesley, who then? Isn’t it ironic that we now have a newly-elected U.S. President that doesn’t give a damn for truth (or facts), yet we continue to debate whether inspirational words can or cannot be attributed to one worthy sole or another. Ya think “the Donald” would argue this point?! I think ignoring truth on the world stage is more important that whether there is evidence that these words can be proven to be John Wesley’s. so in conclusion. There is no evidence that wesley said it or did not say it. And there is also no evidence of who said it. And ‘loving Jesus’ means squat if we’re all words and piety, and no useful action. I don’t mind what inspires people, as long as they operate as though we are all made in God’s image – and the ‘probably John Wesley’ quote seems to sum up well how to do that. I went looking for the original text where Wesley said this in order to read the context for the statement and to learn more about his thoughts surrounding it. I was disappointed to find out that there is no written work containing the quote. Now it is bothersome to see it attributed so often without evidence. Doing so works against the credibility of the speaker or organization where it is repeated. However, I would speculate this happens simply because many are likely ignorant of this fact. While not the most pressing issue facing the UMC, perhaps the General Conference might consider: acknowledging the insufficient evidence that Wesley said this, acknowledging the “Wesleyan nature” of the quote, assigning some special status to the quote, and suggesting honest means of attribution. Okay, so how many quotes attributed to Jesus were actually said by him? Uhhh, any? Lots of absence of evidence there. I would refer you to “The Nature, Design, and General Rules of the United Societies, in London, Bristol, Kingswood, Newcastle-upon-Tyrne, &c.” 1743. The original text is available in “The Classics of Western Spirituality” volume on John and Charles Wesley, pp. 108 ff. Technically, it is correct, that the exact formulation is not a direct quote, but it certainly conveys the intent! Greg, it has already been established and was never disputed that the quotation falsely attributed to John Wesley expresses a Wesleyan sentiment (it would not have this traction if it was clearly not Wesleyan in sentiment). I think you would see that in multiple comments I, and others, have made already if you had read them. The point remains that these words should not be put in John Wesley’s mouth, which was the sole purpose of this post. And yet, many, including official channels of The UMC continue to do so (like the United Methodist News Service Twitter account during the last Democratic National Convention). Why not cite what we know Wesley did say? There is so much from which to choose! You have already given us one good option. I remain convinced historical accuracy matters as a crucial aspect of faithful stewardship of our tradition. I did not see, in the previous thread, the exact reference I provided, so if I overlooked that, I apologize. As previously noted, Bartlett’s Familiar Quotations is probably the source of the much used “paraphrase,” so it has been around for quite some time and it would be fun to discover its source. I confess, that I do not see why a concise formulation that is easy to remember and is faithful to the original intent is problematic. MRDF is now called “All We Can” – so they obviously thought they knew it’s origins! I love this poem and for me it was the essence of the Methodist I grew up in – almost like a Chinese curse because I can pick all the old Methodists anywhere I go in the world because every time a volunteer is needed for anything up come the hands – all old Methodists. I so miss the essence of the teaching in the loss of Methodism in Canada and Australia. Wouldn’t it be nice if those who take the time to dispel a quotation would also write about the where and why it came to be attributed to someone falsely. I just saw the saying tonite in the movie “bad day at black rock”, on the wall of the hotel.